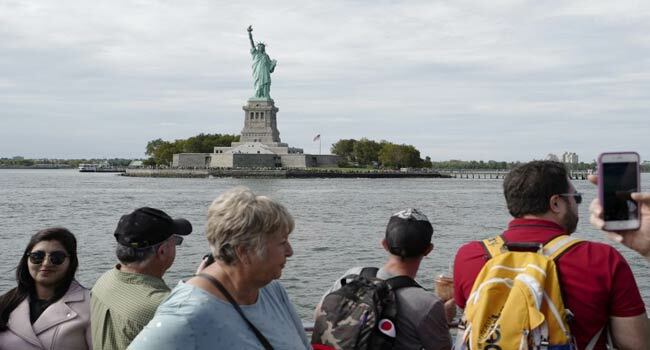 According to new figures from NYC & Company, around 51.6 million Americans and 13.5 million foreign tourists visited the city last year — compared to 13.1 overseas visitors in 2017. Britons topped the list of overseas visitors, with 1.24 million, followed by China (1.1 million), Canada (1 million), Brazil (920,000) and France (807,000). New York ranked the 6th most-visited city in the world for foreign tourists, according to Mastercard’s annual Global Destination Cities list published in September, based on a projected 13.1 million visitors. Bangkok topped that list, ahead of London, Paris, Dubai and Singapore. The US’s financial capital, where tourism employs over 390,000 people, hopes to break records again in 2019 with a predicted 67 million visitors. One event expected to draw people in is June’s Gay Pride, which will mark the 50th anniversary of the Stonewall riots, emblematic in the fight for LGBT rights.